"Emory University's mission is to create, preserve, teach, and apply knowledge in the service of humanity." To fulfill this mission, the University supports the full range of scholarship, from undergraduate to advanced graduate and professional instruction, and from basic research to its application in public service. While being a comprehensive research university, Emory limits its academic scope to those fields in which, by virtue of its history and location, it can excel. Hence its academic programs focus on the arts and sciences, business, law, theology, and the health professions. These disciplines are unified by their devotion to liberal learning; by cooperative interdisciplinary programs; and by the common pursuit of intellectual distinction. The Emory community is open to all who meet its high standards of intelligence, competence, and integrity. It welcomes a diversity of ethnic, cultural, socioeconomic, religious, national, and international backgrounds, believing that the intellectual and social energy that results from such diversity is a primary asset of the University. A global perspective on the human condition. The University, founded by the Methodist Episcopal Church, cherishes its historical affiliation with the United Methodist Church. While Emory's programs are today entirely nonsectarian (except for those at the Candler School of Theology), the University has derived from this heritage the conviction that education can be a strong moral force in both society and the lives of its individual members. 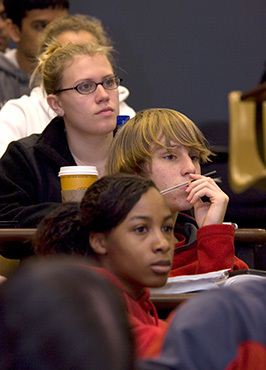 The scholarly mission of Emory College involves research and creativity, teaching, and service. publishing the results of their efforts for the general advancement of learning and the betterment of the human prospect. a mature command of at least one discipline or field of concentration. 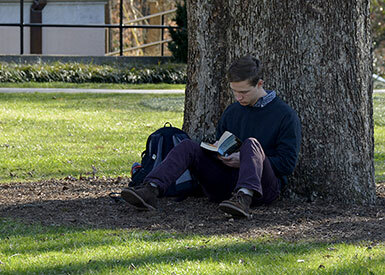 Through instruction that aims to be the symbiotic complement of research, Emory College prepares its graduates to live an active life of the mind, aware of their responsibilities to assume a part in the intellectual leadership of the nation. As an institution responsive to the various communities of which it is a member, Emory College acknowledges a commitment to service in its local community, in the national and international academic community, and in the nation as whole. Each aspect of this threefold mission must be carried forward in an atmosphere of intellectual and moral integrity, one of habitual regard for the ethical dimensions of research and creativity, teaching, and service. Emory College of Arts and Sciences is committed to valuing difference and ensuring that the students, faculty, staff, and administrators are diverse in ethnicity, gender, religion, philosophy, sexual orientation, and physical ability. At the same time, we are unified in the goal of achieving academic excellence, preparing for life and work in a global society. We strive to offer multicultural and gender-balanced education in the curriculum, instruction, and services that address learning and physical disabilities and support for staff and faculty development. We, the Emory University community, affirm our commitment to protect and enhance the environment through our teaching, research, service, and administrative operations. We seek to foster a community that sustains ecological systems and educates for environmental awareness, local action, and global thinking. We seek to make environmentally sound practices a core value of the University.